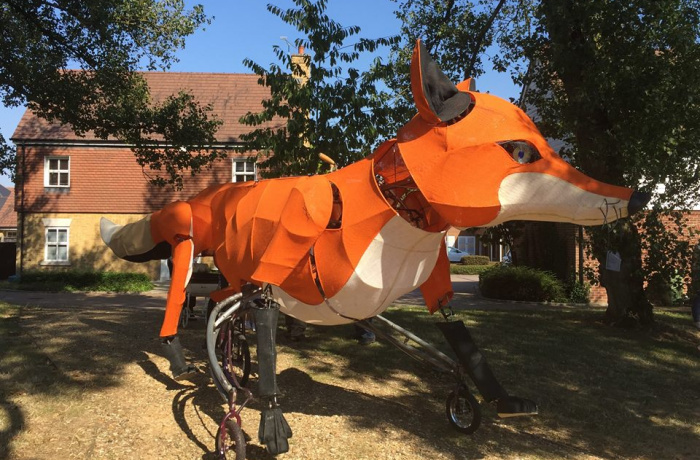 Oscar is our pedal-powered larger-than-life fox, who enthralls with his stunning appearance. When perambulating, Oscar's mechanical legs 'walk' and his head moves, creating a real sense of motion; and, when at rest, his clever design allows him to sit on his haunches. 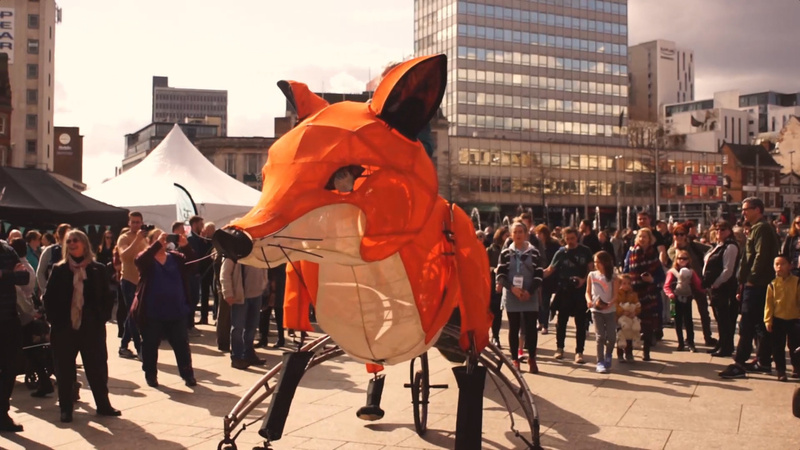 At 2m wide, 8m long, and 2.8 high - he brings a real wow and sense of wonder to events!